The next-generation Samsung Galaxy Note 10 could eventually land as a two-model lineup, as the South Korean company is reportedly planning a smaller version of the device as well. Reports from media in Samsung’s domestic market indicate that the main Galaxy Note model could be increased to no less than 6.7 inches, as the company wants the device to match the specs of the Galaxy S10 5G. Since the Note would overall grow bigger because of this new approach, the company knows very well that not everyone would like such a large device, so it’s planning a smaller sibling specifically aimed at customers looking for a smaller phone. 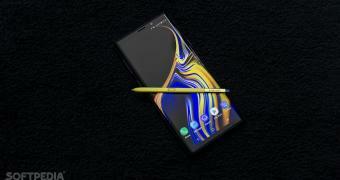 As a result, the second Note 10 model that could see daylight this year might only feature a 6.4-inch display, just like the existing Samsung Galaxy Note 9 version.